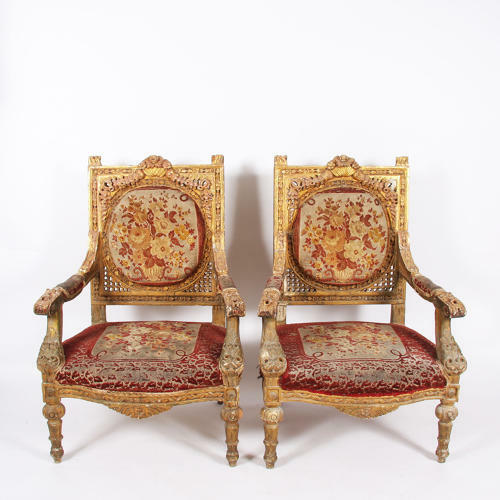 A regal pair of carved giltwood and velvet thrones, with original fabric. Exquisite detail to both the fabric and the frame. Worn velvet fabric and disressed giltwood.